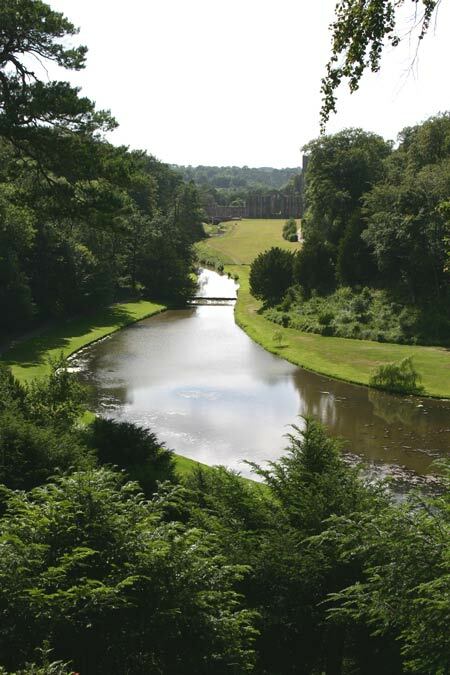 The first thing you see of Fountains Abbey as you leave the main visitor centre entrance is the top of the tower above the trees. 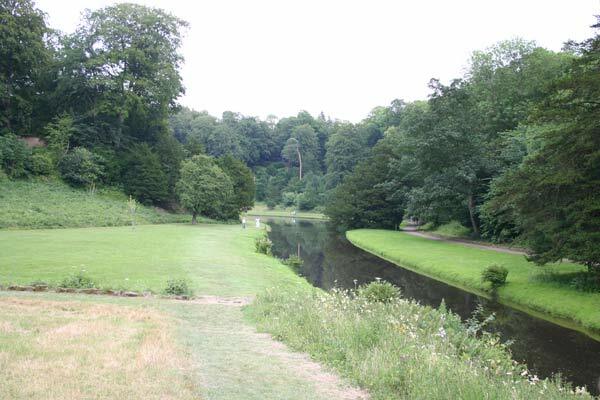 Once you get down the hill you can see the full 170ft. 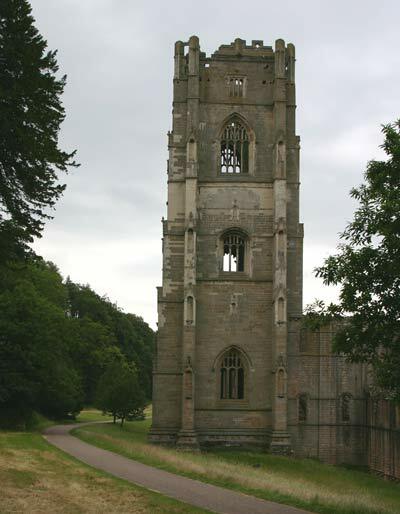 height of the tower. 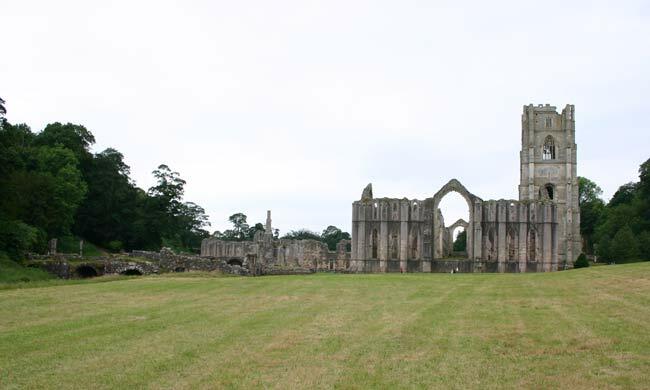 The abbey was founded in 1132, after Dissolution by Henry VIII in 1539 it fell in to disrepair. 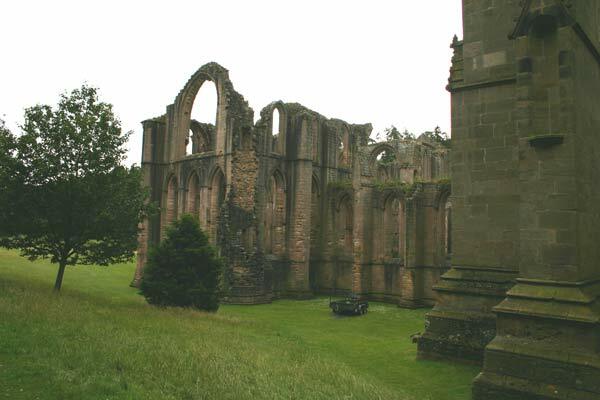 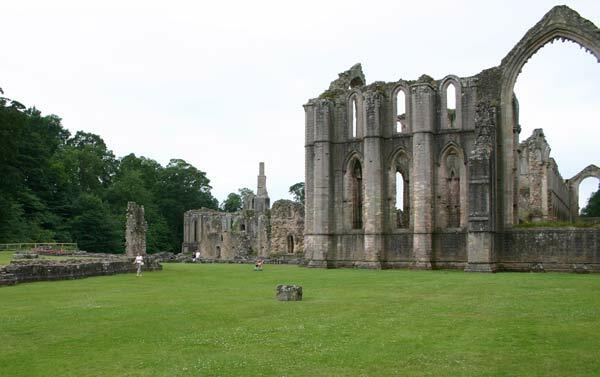 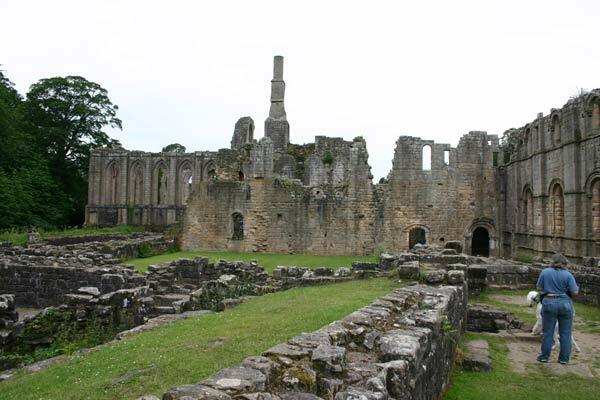 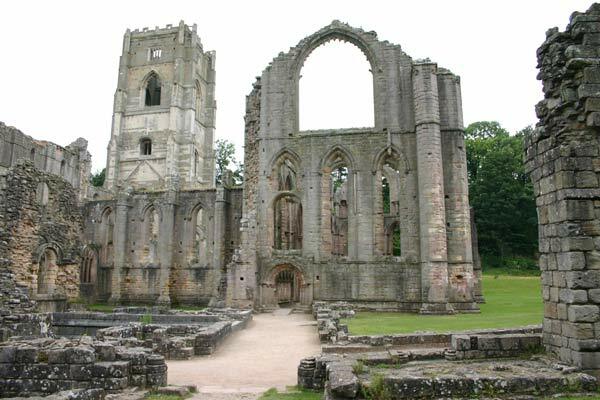 Today it is owned by the National Trust and is Britain's largest monastic ruin and most complete Cistercian abbey. 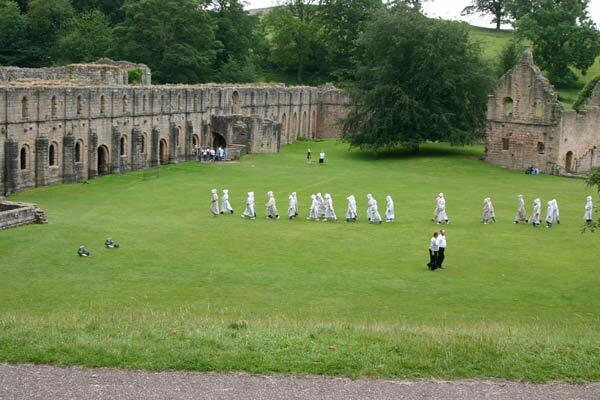 A school group on a visit, dressed in habits as the monks once were, head towards the Western Range which was once used by lay-brothers. 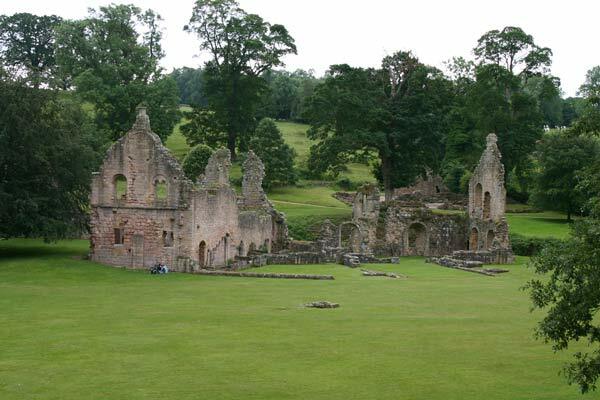 I think these are the remains of the Abbot's house and guest house. 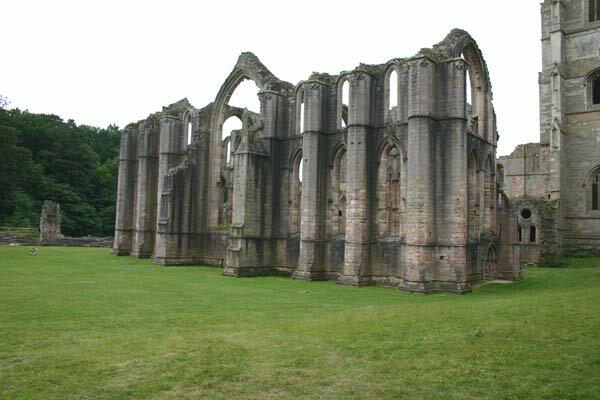 A series of photos taken walking around the outside of the abbey ruins. 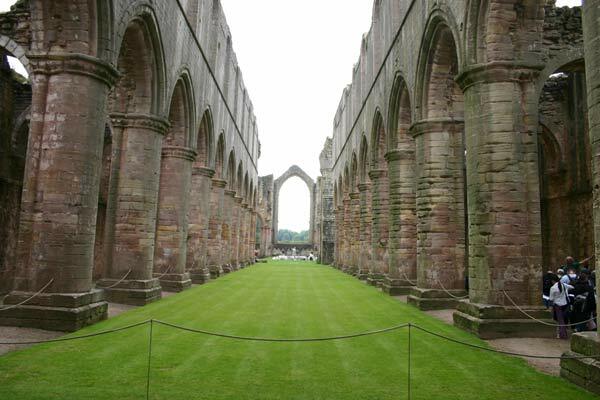 Looking down the nave towards the the East Window. 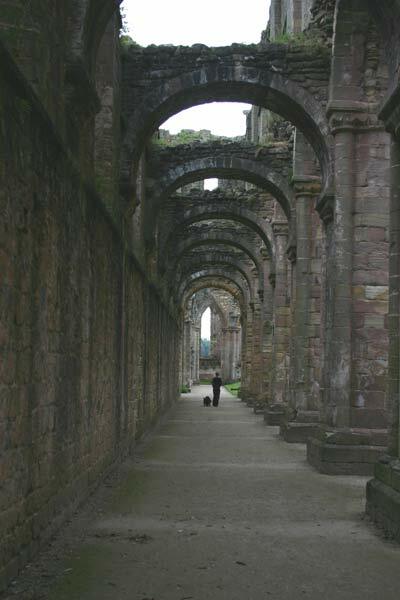 The north aisle of the abbey church looking east. 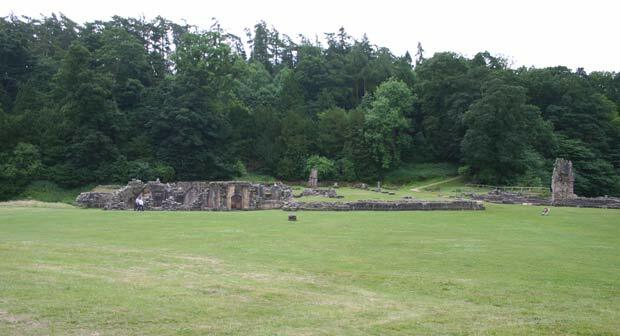 A view of the east end of the abbey ruins. 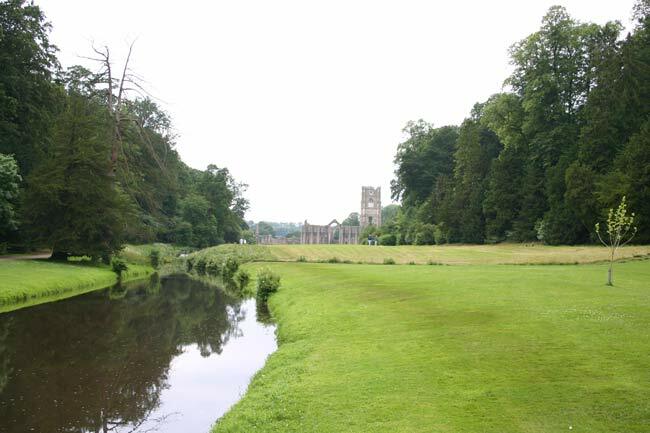 Looking back at the abbey site from the start of Studley Royal water gardens. 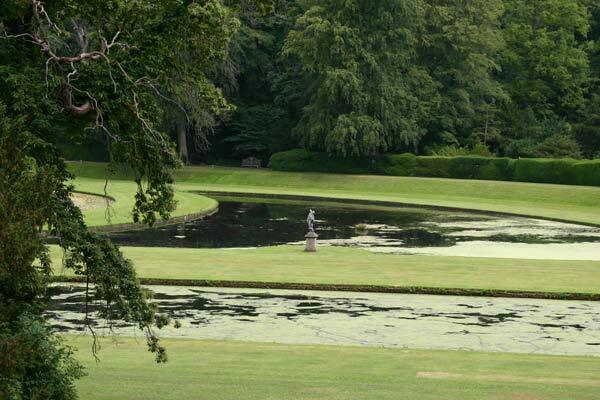 Turning round, the view down to the water gardens. 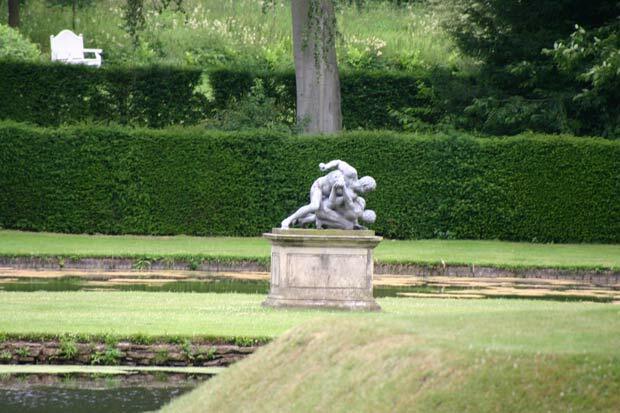 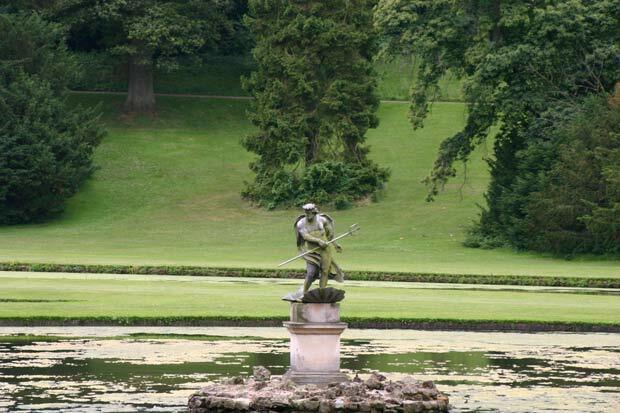 A selection of views of the water gardens including several of the statues in the lakes. 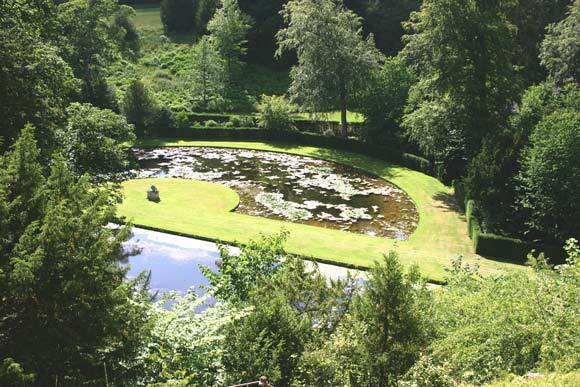 Besides the low level walk there is the "High Ride" with views down to the lakes. 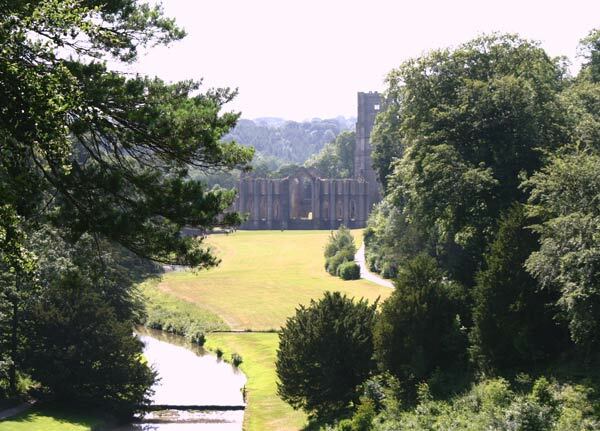 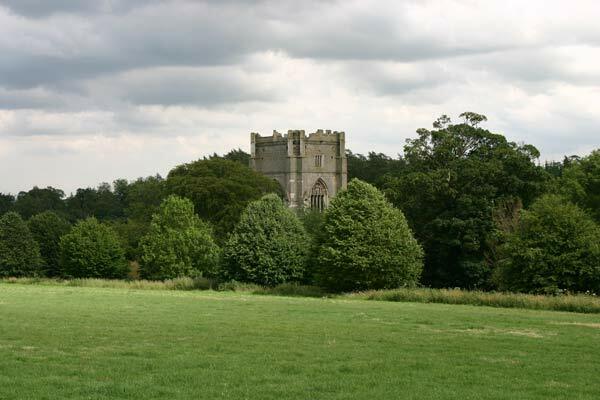 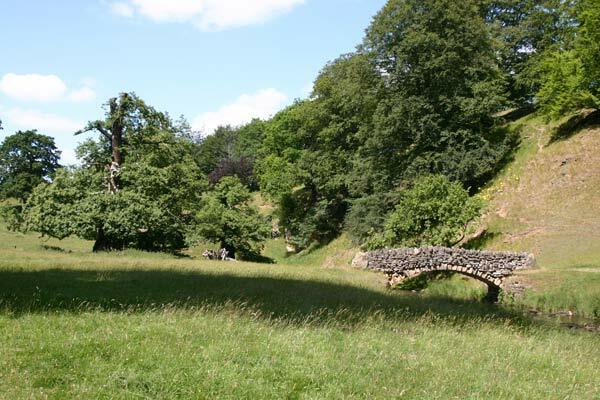 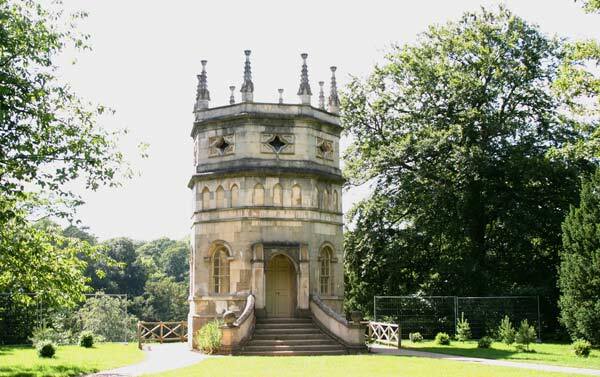 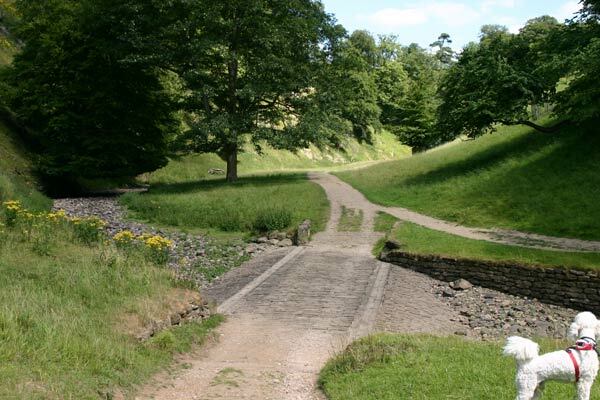 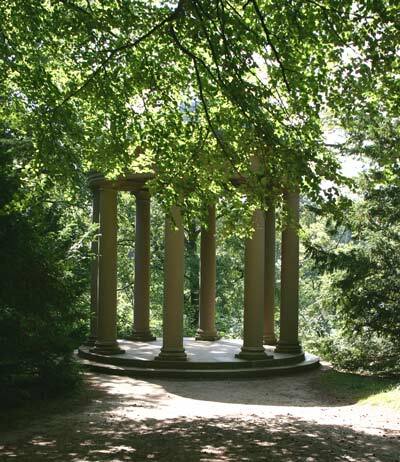 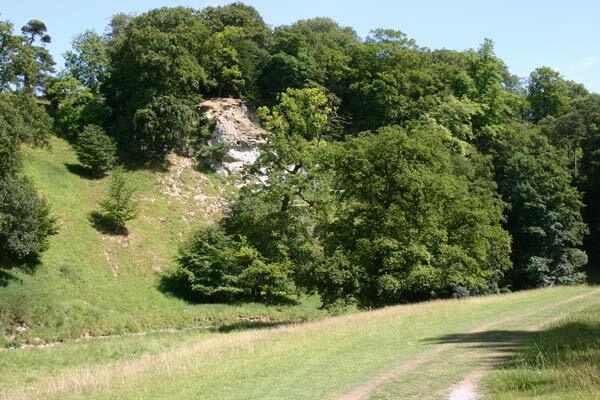 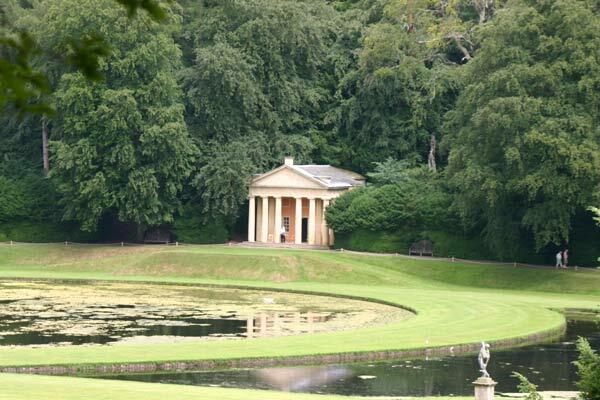 There are also a couple of follies along the walk, the selection finishes with two views back to the abbey which was bought when the gardens were laid out as a feature of them. 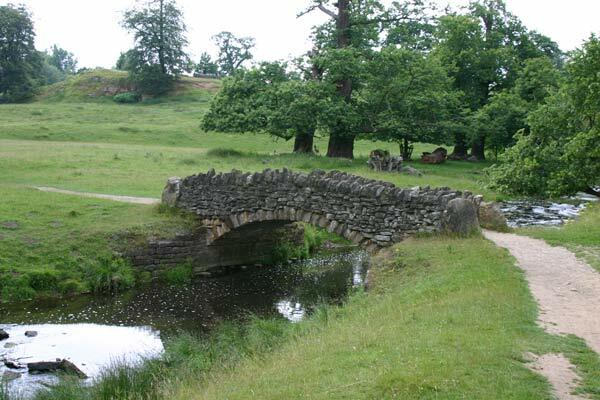 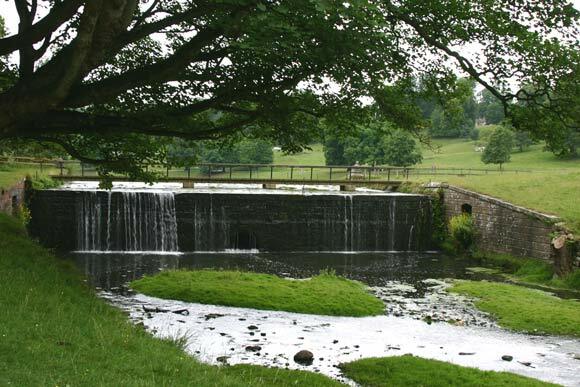 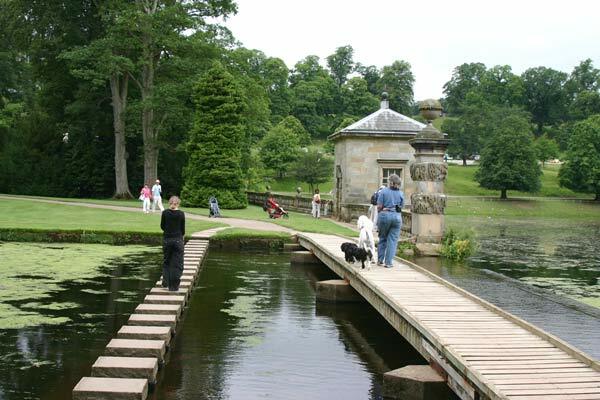 At the end of the walk alongside the water features there is a choice of a bridge or stepping stones to reach the tea shop. 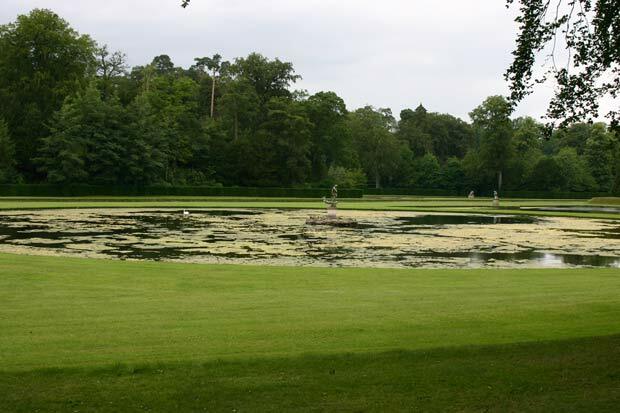 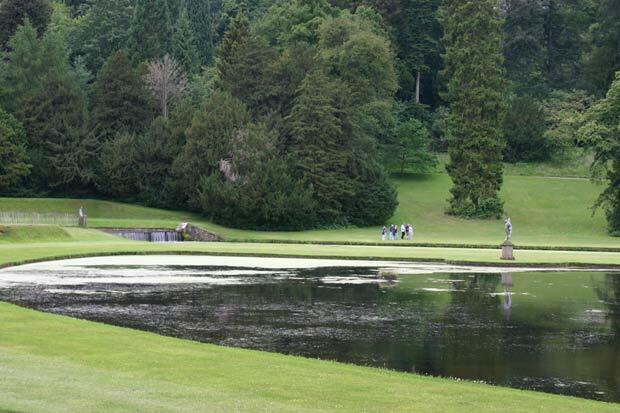 Beyond the formal gardens lies a further lake and then the deer park. 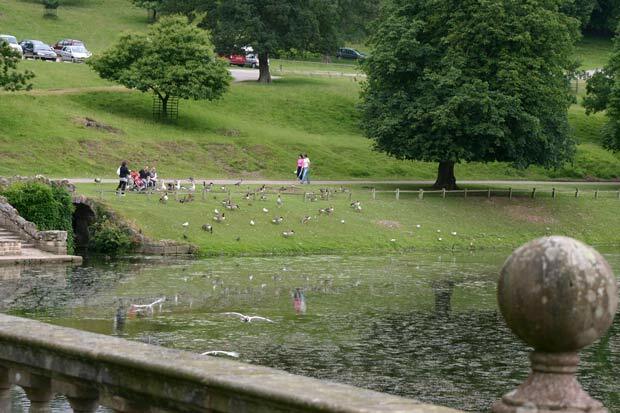 The lake is home to numerous ducks and geese some of which can be seen beside the water looking for handouts from the visitors. 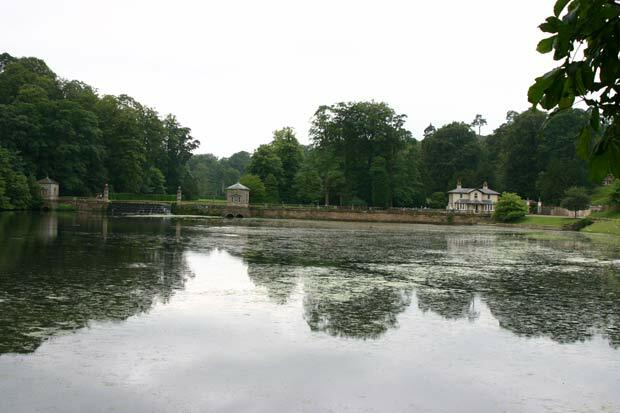 Looking across the lake back towards the gardens. 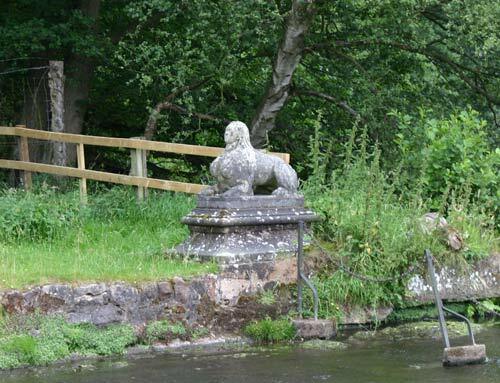 The outlet from the lake is guarded by a pair of sphinx like sculptures. 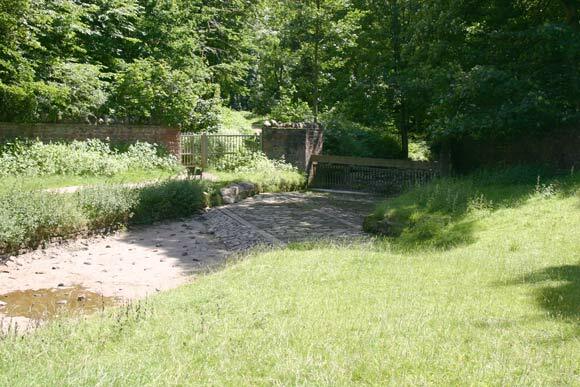 The weir at the end of the lake, beside the footbridge is a ford. 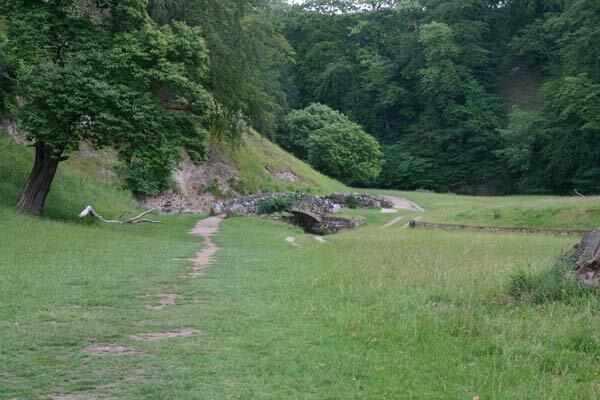 Going down the valley is Seven Bridges Walk. 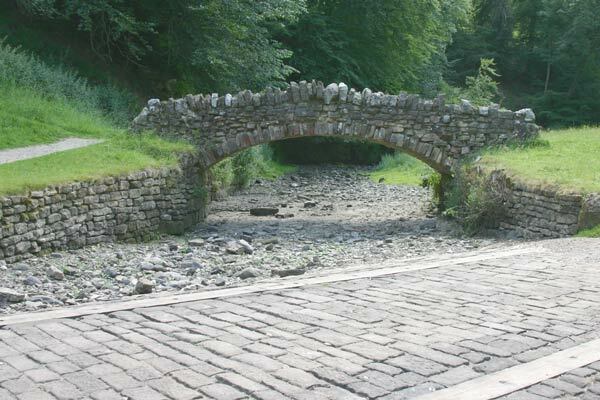 When we visited there wasn't much water in the stream, in fact after the first couple of bridges it was completely dry. 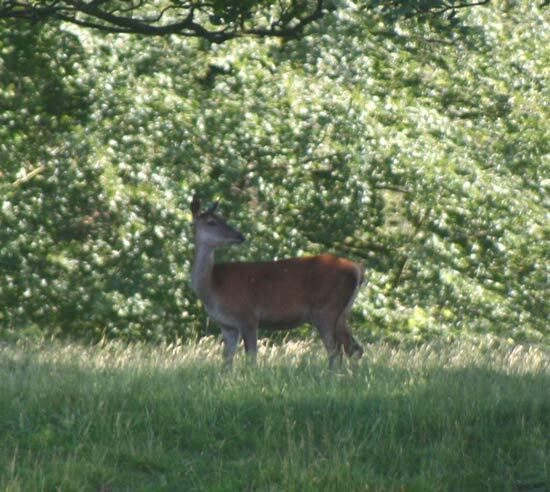 First some red deer sheltering under the trees - and one that for some reason was making a dash for the other side of the road. 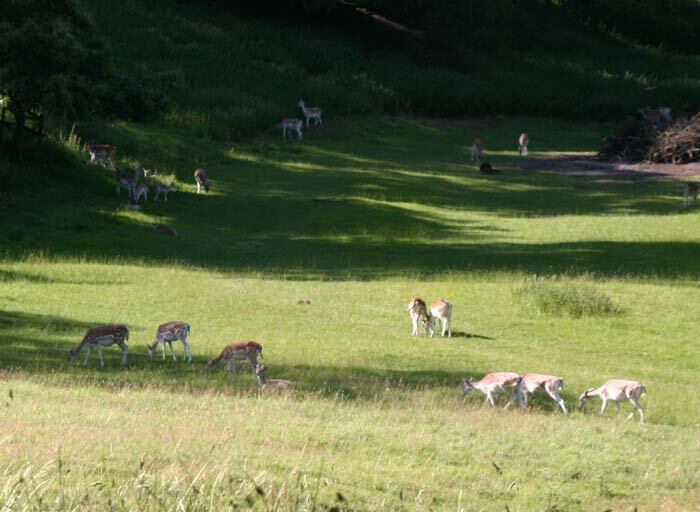 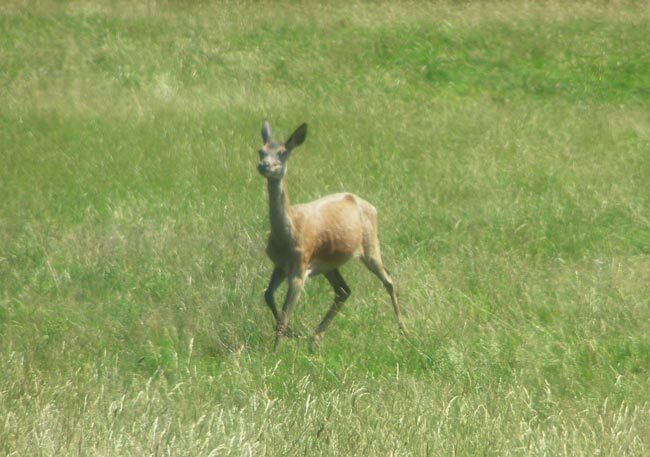 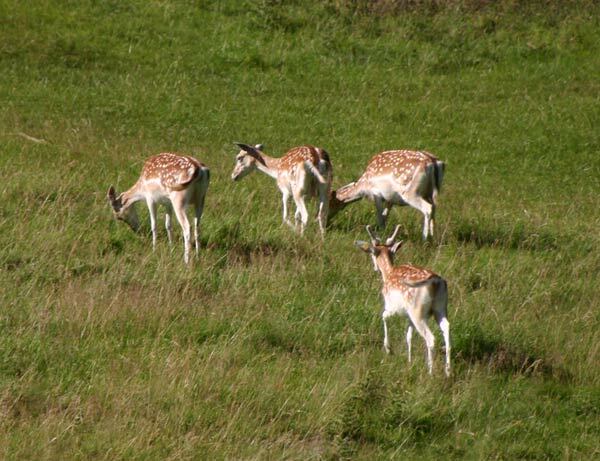 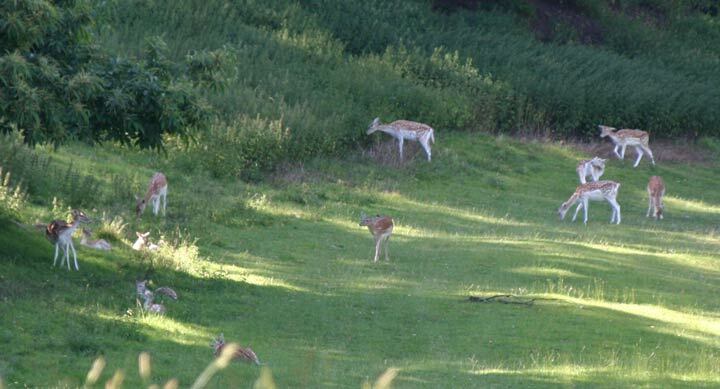 Across the road was this herd of fallow deer - with a rabbit getting into the background of this first photo. 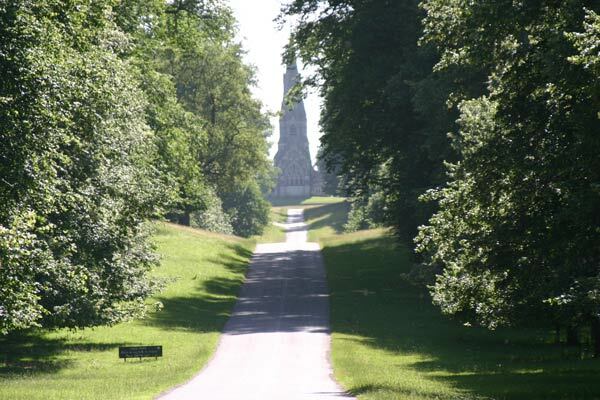 The view up the drive coming in via Studley Roger with St. Mary's church at the far end. 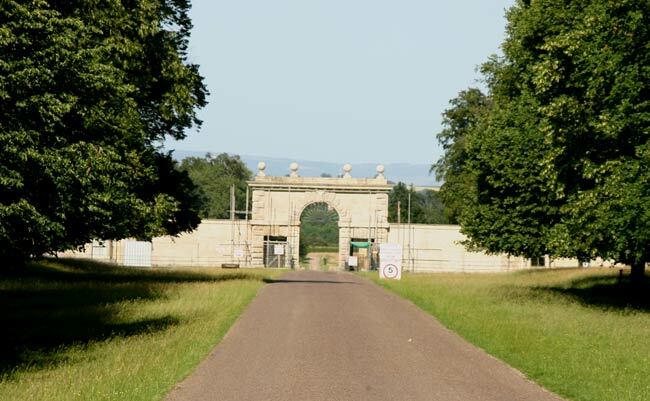 Turning round is the gateway to the estate.